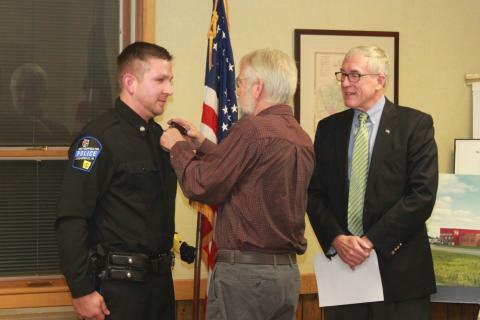 Benjamin W. Johnson was sworn in as West Hempfield Township’s newest police officer. 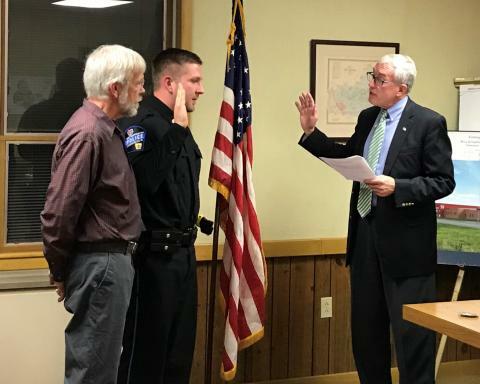 Chairman David M. Dumeyer administered the oath of office to Officer Johnson during the township’s regularly scheduled monthly meeting. Johnson’s parents were on hand to witness the swearing in ceremony. Following the oath, Johnson’s father pinned his shield onto his uniform. With the hiring of Officer Johnson, the department will have 20 sworn officers. Johnson will be assigned to the patrol division. 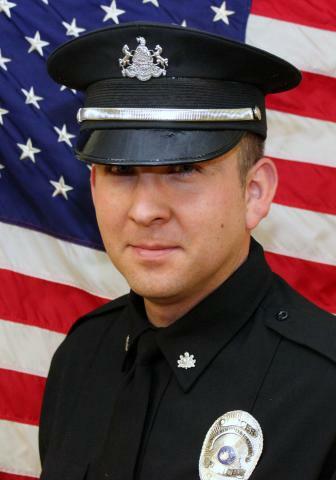 Officer Johnson currently resides in East Lampeter Township and has lived there since 2004. He was a self-employed contractor. Officer Johnson was home schooled and received his high school diploma in June of 2003. He served in the US Marine Corps Reserve from 2004 to 2010. He had been enrolled in Harrisburg Area Community College’s Criminal Justice Program until having been deployed in 2008. He recently received his Act 120 Basic Municipal Police Training from the Reading Police Academy and is currently enrolled in the Elizabethtown College Criminal Justice Program.